For its tremendous organization and multimedia updates, RMC was awarded the 2018 OUA CHAMP Award for Best Competitive Championship. 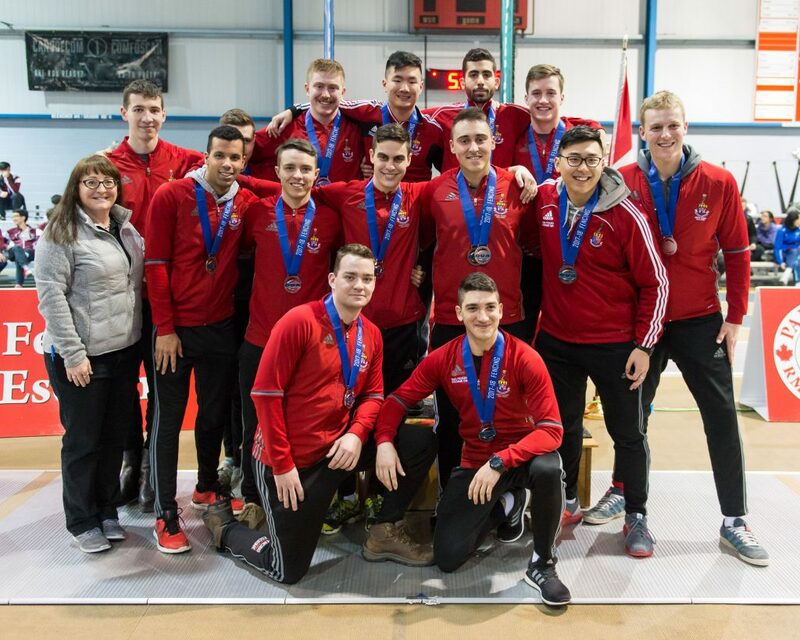 The 2018 OUA Men’s Fencing Championship at RMC ran seamlessly, with ideal facilities to support a high-caliber championship event. Both days finished in a timely manner thanks to the 15 pistes set up in the KMCSC Field House, including a pair of Championship pistes. Not only did the facilities provide an optimal environment for the athletes, the officials were also well looked after in their lounge, a mere 25 feet from the entrance to the Field House. The RMC fencing team facilitates the entire event from set- up to teardown. After getting a practice run at the RMC Invitational, the athletes were prepared to make the OUA Championship a success, and exceeded expectations. Results were available onlinethrough a Championship Website made using Adobe Spark. Live updates came from the RMC Paladins social media pages, complete with pictures of leaders and videos of medal fights, which garnered impressive traction. The Championship site itself received over 1,000 page views.